The NikeLab Essentials Men's Trousers elevate your look whether you're running, training or sporting a casual style. These trousers boast a standard fit throughout the top half, while a slim cut through the calf gives you a more modern look. 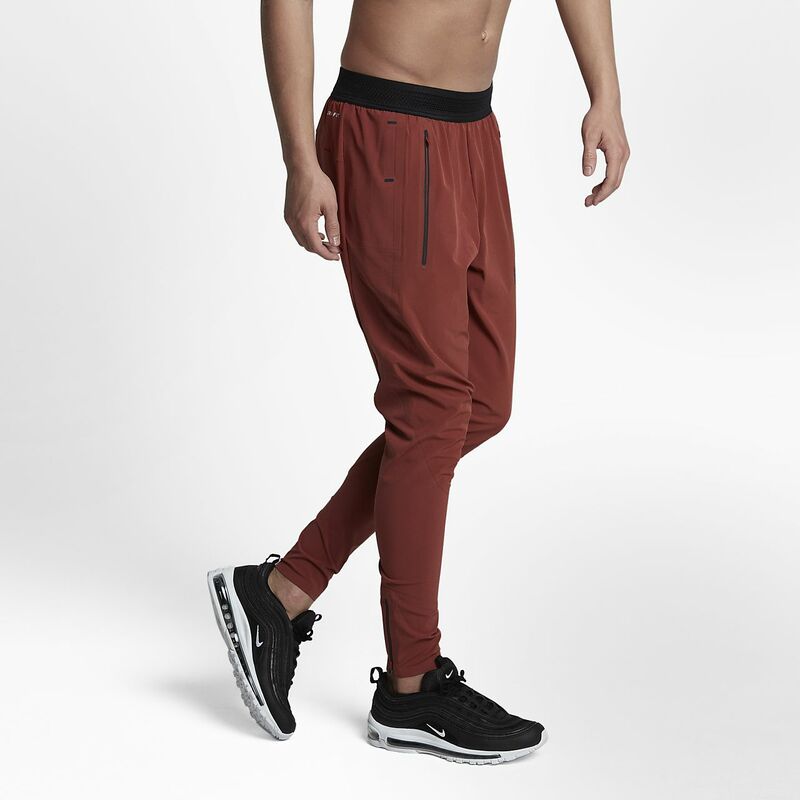 The NikeLab Essentials Men&apos;s Trousers elevate your look whether you&apos;re running, training or sporting a casual style. These trousers boast a standard fit throughout the top half, while a slim cut through the calf gives you a more modern look. A breathable Dri-FIT, four-way stretch fabric wicks away moisture to help you stay dry as you move. Nike Flyvent waistband adds lightweight breathability through laser perforations. Added storage comes in the form of zipped, bonded side pockets and a media pocket on the right hip, while zipped leg entry boosts overall utility. Fabric: Body: 85% polyester/15% elastane. Panels: 84% polyester/16% elastane. Have your say. Be the first to review the NikeLab Essentials.